Re-posted from Bangor Daily News. 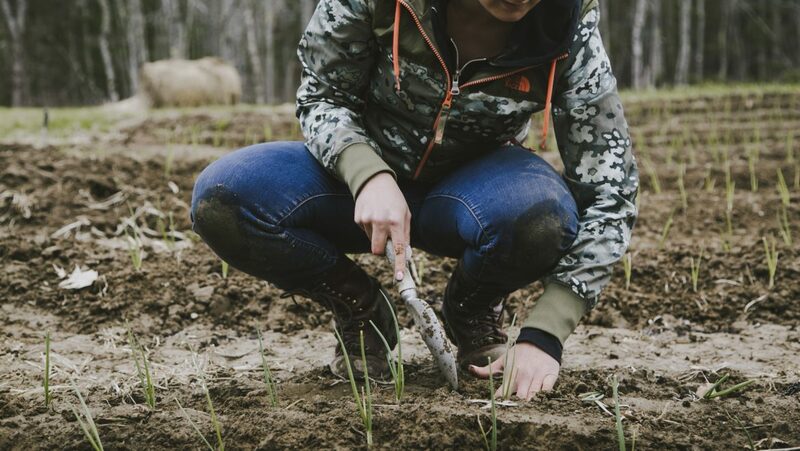 John F. Kennedy once said “the war against hunger is truly mankind’s war of liberation.” Here in Maine, that fight is being waged by groups and volunteers all set on increasing everyone’s access to local, fresh food. In one community, it is a group of volunteers pulling weeds at a farm where 100 percent of the produce is donated. In another, it’s a group asking for donations after weekly farmers markets. Elsewhere, it’s organizations working to increase the number of Maine markets accepting supplemental nutrition assistance program benefits. Regardless of how it manifests, those providing hunger relief are a web of farmers, volunteers and people combatting hunger in a state where thousands live each day without enough to eat. According to the U.S. Department of Agriculture, 15.1 percent of Maine households, or 200,000 people, are food insecure. That means they lack access to enough food to meet their nutritional needs. The USDA also estimates 18 percent of Mainers were using food stamps as of last year. However, 36 percent of the state’s food insecure population makes too much money to qualify for food stamps and must rely on food pantries or similar organizations. Those who do receive state benefits often can use them at nearly 40 markets throughout the state, a recent change spurred by Brewer-based nonprofit Food AND Medicine, which brought a food stamps matching program to markets in Greater Bangor. “The idea is to get people into the market who wouldn’t otherwise be there,” Leigh Hallett, executive director of the Maine Federation of Farmers Markets, told theBangor Daily News last year . Still, Maine ranks 17th in the nation and first in New England for the number of residents living in food insecurity. It’s because of that increase that people such as Sara Trunzo, director of Veggies for All, feel compelled to work for hunger relief organizations. 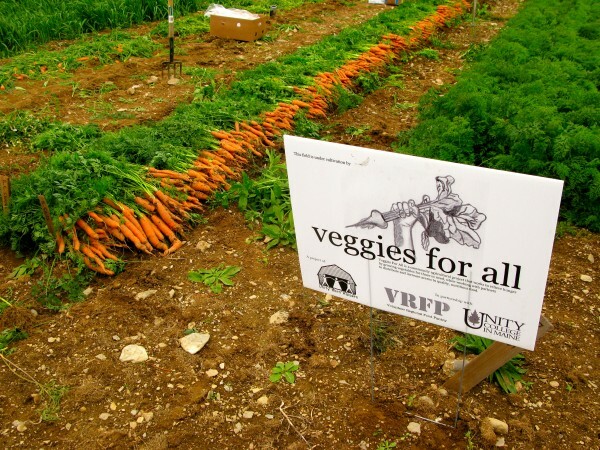 Veggies for All is a Unity-based “food bank farm” that grows vegetables and donates them to food pantries and groups that distribute them to families in need. Ron Murphy, a volunteer with Crossroads Ministry in Old Town, said he has seen a shift in what people are looking for when they visit the pantry. Crossroads runs a food pantry and provides low-income families with assistance for paying utility bills or purchasing clothing, furniture and household items. Most of the time, if there is a choice between fresh vegetables and cans, food pantry visitors will choose the fresh, Murphy said. Not that patrons are picky; they just lean more toward fresh food when it’s available. Donations run in cycles at Crossroads. Sometimes there’s so much spaghetti they can’t get rid of it all. Other times there’s a need for dry cereal. But in the summer, fresh vegetables take the cake. “More people are looking for fresh, and hopefully word gets around that we have that stuff,” Murphy said. Crossroads gets most of its vegetables in the summer from an “aftermarket gleaning program.” Gleaning is the time-honored practice of collecting extra produce after the main harvest or market. In Greater Bangor, farmers at markets donate extra products that didn’t sell each week to organizations such as Crossroads, which then distribute them to area residents. At Veggies for All, veggie trends families can get behind is important for Trunzo and her volunteers. Many families are looking for vegetables and fruits such as cucumbers, carrots and sweet corn — things they know their kids will eat. Volunteers also focus on growing hearty fall crops, such as squashes, because they store well and can be turned into “unidentifiable veggies.” For example, families can replace rice or pasta with shredded spaghetti squash. “We provide food for around 1,500 people and one-third of that is children … so we hope they can turn what we have have into something kids will eat,” Trunzo said. 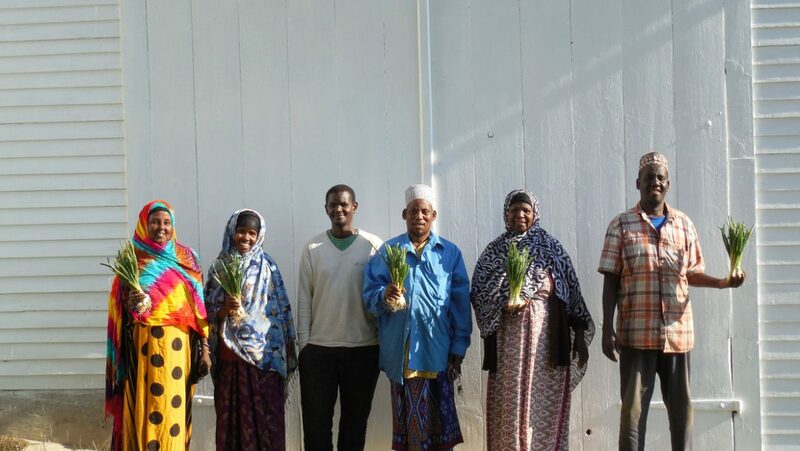 A big challenge for hungry families in rural communities such as Unity is access. In order for many farmers to make a decent living, they have to go to big markets, which means produce grown in a small town often leaves for places such as Bangor. But programs such as Veggies for All and an increasing number volunteers who see the need in their communities seem to be closing that gap. Veggies for All has more than 200 volunteers from all walks of life who have logged thousands of hours, Truzo said. Some are students, some only work once, others volunteer a part-time job’s worth of hours. Any money raised is used to pay the few staff members, such as Trunzo and the farm manager, as well as purchase and maintain equipment. But it’s not just laborers. Farmers throughout the town offer the organization extra fields to work. It means a lot of running around — especially on transplanting day — but it makes a difference. 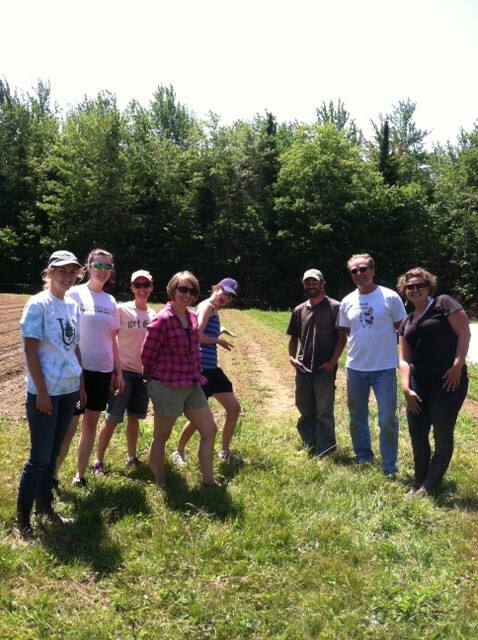 In the case of the aftermarket gleaning programs, farmers don’t necessarily have time to donate but they have food, said Kate Garland, a horticulturist with the University of Maine Cooperative Extension program. Each week at the Bangor-area markets, several volunteers bring bags around to each farm and ask for donations. But Garland makes it clear the donations are not just leftovers. Trunzo said her organization is hoping in the coming years that programs such as Veggies for All will become a model for building an “ag-economy.” Right now, she says, they are providing relief but are not preventing hunger. An ag-economy would be a place where the community provides most if not all the food its people needs. “We are meeting an immediate community need, but we also need to build clients for farms in the future. … It would be exciting to see this grow into a more thriving agricultural economy,” Trunzo said. For Garland, she’s looking forward to another year of growth for the aftermarket gleaning program. 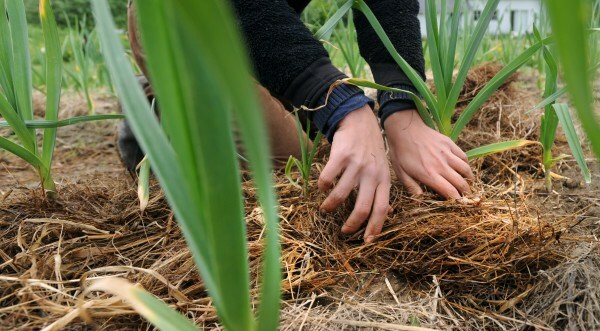 However, she’s hopeful, too, that along with filling the “huge need for reliable volunteers” she’ll find someone willing to expand the program to include on-farm gleaning. Murphy, who works directly with the recipients of the major web of farms and organizations, said he hopes people realize how big the need for fresh food is. 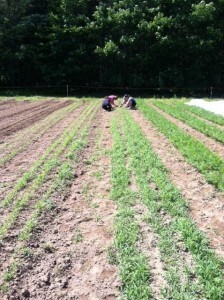 Farm to Institution New England (FINE) recently wrote a detailed piece on our project Veggies For All, highlighting VFA’s important partnership with Unity College. This collaboration provides thousands of pounds of food to hundreds of clients of the local food bank, the Volunteer Regional Food Pantry, and offers educational opportunities for students. Read the full story here.